As President of American Engineering Consultants, LLC, Ms. Maynard works from the firm's Rockwall, Texas Headquarters and is responsible for the managerial and operational control of the firm. This includes the marketing, business development, administrative, and human resources functions of the company. Ms. Maynard also oversees and directs company strategic initiatives designed to increase value, perpetuate growth, and to ensure the company's long-term reputation and client satisfaction. Since 2015, Stacy has helped successfully launch AEC into the Dallas area marketplace. In the role of firm President, she focuses on maintaining existing client relationships while exploring opportunities to work with new organizations. She is a Service-Disabled Veteran of the U.S. Air Force. A former Law Enforcement Specialist, she proudly provided Presidential Support duties at Andrews Air Force Base, and served as a member of the Headquarters Systems Command Elite Guard. Her military training and experience as a non-commissioned officer prepared her for future leadership roles. Stacy serves on the Veterans Advisory Council of the Rockwall Veterans Business Alliance. 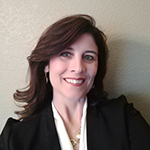 Stacy has nearly 20 years of experience managing day to day business operations, with a top down view of organizational structure, obtained from many years of working with executive leadership in a diverse assortment of A/E/C and other industries. Her experience includes operations, strategic planning, project management, administration, personnel management, marketing and human resources.